#177479 - 09/30/07 01:04 PM Official Axiom Demo Rooms . . . I am pretty excited . . . I will have the honour and pleasure to host the first two official Axiom Demo Rooms outside Axiom facilities. They will consist of one dedicated Home Theatre Room and a medium size Family Room. The construction has started a few months back and I am finally getting at the stage where you should be interested to see what is going on. Hopefully, the project will be completed by the end of November. The video projector will determine the official opening date; there are several, soon to be released, exciting 1080p projector models … We will talk more about video eventually but for now back to the construction project. The rooms are part of an addition which I am building for my own home. I will post pictures shortly and I will give you all the details which interest you and even more. . .
Wow, sacrificing your own home in such a manner. You are the man JC! Yes, pictures will be great. That sounds very cool. I know that I deserve a lot of merit for this but I will not get any and you know why . . . it is for a great cause; supposedely it makes it easier ! I will have the drawings of both rooms available shortly. That does sound really exciting. I personally am very curious to see what makes your room so official . A few things will make them official; there will be a direct link to request an audition, all the audio speakers and subwoofers will be Axiom products and only Axiom products, the amplifiers will be Axiom amp, etc. In a few words: it will be as Axiom as it can get. Furthermore, the host will be an Axiom audio expert. I will post the first two pictures shortly; drawings of the Home Theatre and the Family Room. Here is how it all started . . . it was almost three years ago when I joined Axiom. Ian is a very generous person and right from the start he gave me a pair of speakers to listen to music and movies on his Axiom creations. And, once in a while, he would send me additional speakers to test and evaluate. Soon, I had to face the fact that I needed, if not a dedicated room at least a decent one for these products. I also wanted so much to be part of the proud Axiom owners who invite people to listen to their system. So at first, I tried to re-arrange our living quarters to make it a possibility; I had the blessings of my wife (what an exceptional woman!). As much as we tried, it was rapidly clear that we had insurmountable hurdles to bring my project to maturity. So we then ponder between selling our house to build a new one or to buy an existing one or to build an extension to our home and all possible scenarios in between. Here we are two years later with what we think was and still is the best solution; an extension to our home . . . Finally, the drawings . . . The sizes look good and the layout looks really nice. Is the family room the top left area in the second picture ? I'm guessing that the two pictures are "stacked" one above the other somehow but I haven't quite figured out how. 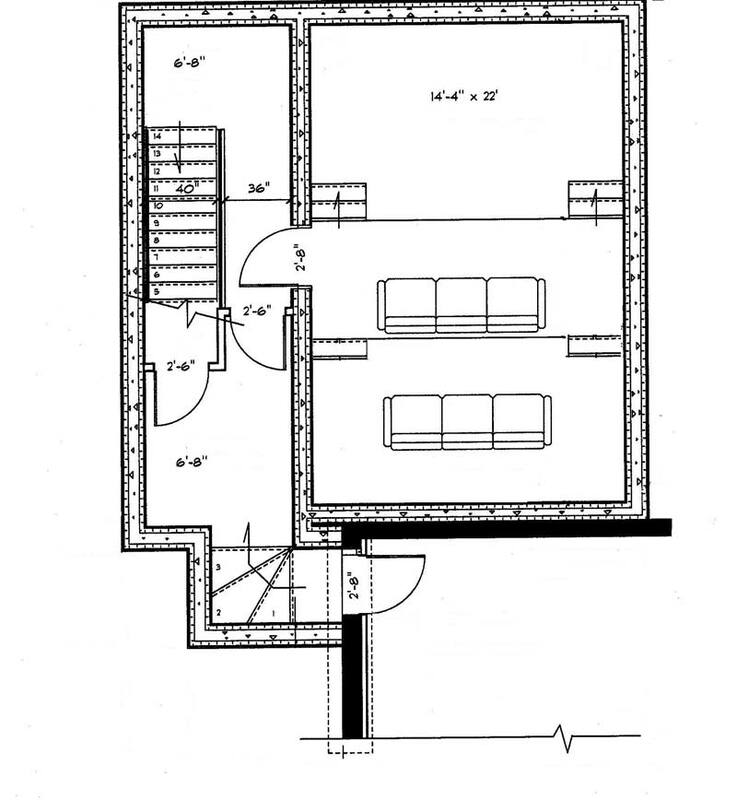 Is this a two-level addition out back or two areas on top of the existing house ? 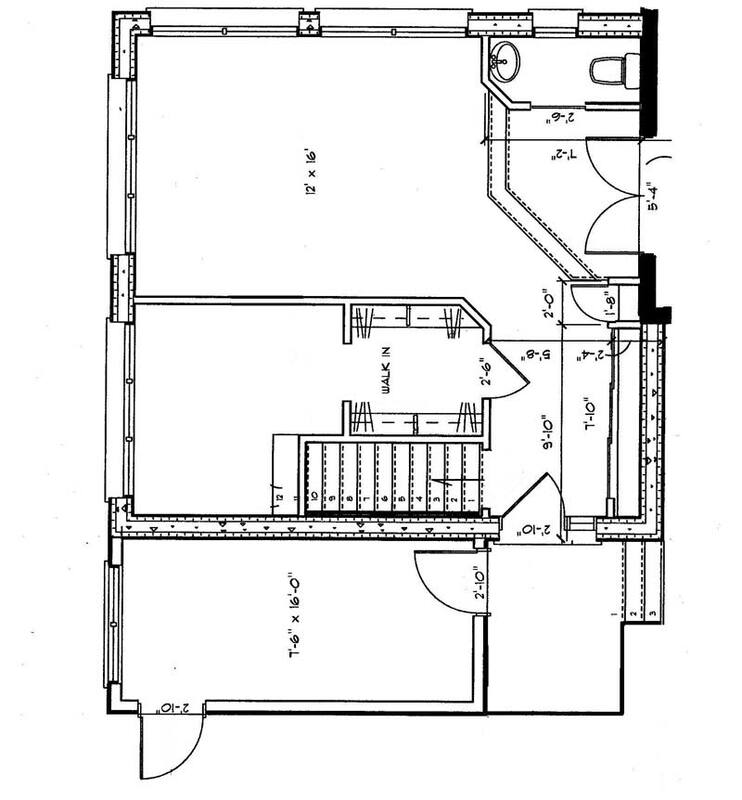 I didn't see ceiling heights in the drawings -- is anyone crunching the numbers to make sure all three dimensions are compatible ? Anyways, looks like it's going to be real nice.